Needless to say, the ocean water around Sitka is not particularly warm. 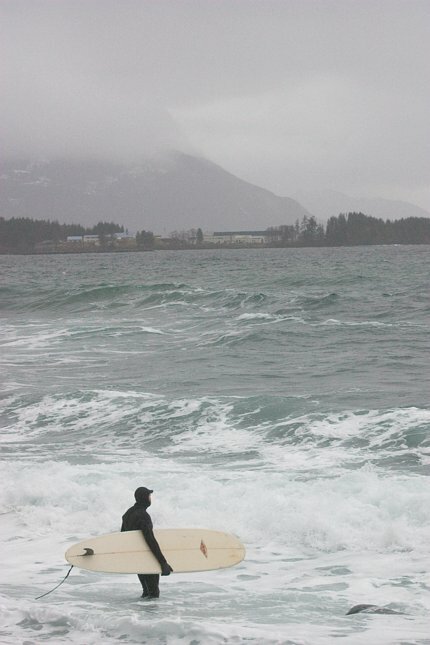 The surfers were all wearing full body wetsuits (including hoods), to help stay warm. I did not talk to any of them to find out how well that worked.